Moved to London from Kenya in the 1970s. Schooled at Haberdashers’ Aske’s. Bachelor’s at University of Warwick. Has three siblings. Father in aviation. Three sons from failed marriage with UK businessman Janak Radia. India entry in 1995. Sahara liaison officer. India rep of Singapore Airlines, KLM, UK Air. Floats Crown Air as MD in 2000, with sister Karuna Menon as partner. Secures FIPB clearance to invest over Rs 100 crore, but plan falls through. Sets up Vaishnavi Communications in 2001, followed by Noesis, Victom and Neucom Consulting. Bags all 90 Tata group accounts. Reliance joins list in 2008. Bid to launch Magic Air collapses in 2005 as rules stipulate Indian ownership. PIO Radia holds a British passport. Spends months at Singur in ’08 during Tata Nano row. 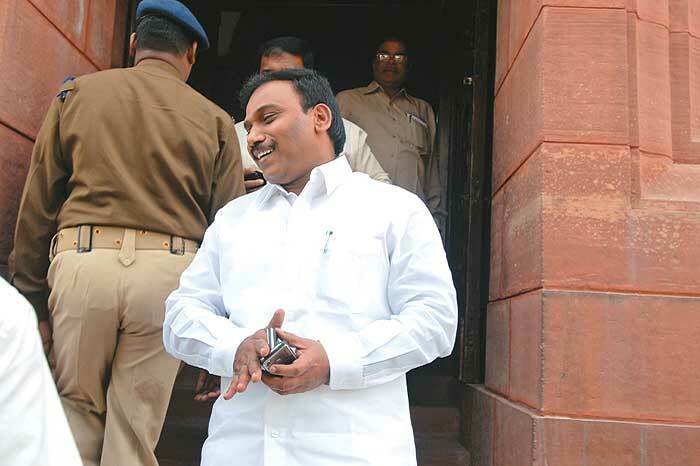 Lands in 2G scam in 2010. The 2G scam tapes are a superb lesson in dialectology, loosely the study of speech styles. PR lady Niira Radia’s accent varies in practically each conversation with politicians, business leaders, bureaucrats and top TV and print editors. She’s matter-of-fact in some, husky in others; she’s abusive in Hindi while speaking about some journalists to her staffers, she’s assured while explaining extremely technical matters to business honchos, retired bureaucrats and editors; and has a schoolgirl-like British accent while conversing with Ratan Tata: “I hope the bad times are behind us,” she tells the Tata Group chief at the end of a conversation. Well, the bad times do not seem to be ending for Niira Radia. As the Enforcement Directorate launches an investigation into the 5,800 reported taped conversations from Radia’s phone over a six-month period in 2009, all transactions with tax implications will be looked into. Home secretary G.K. Pillai tells Outlook that it was his predecessor Madhukar Gupta who had sanctioned the phone-tapping on the request of the Central Board of Direct Taxes, which was investigating suspicious fund transfers. These will be investigated now. Since Outlook published extracts from the CD of Radia’s phone conversations (submitted to the court) taped by the I-T department—and put the 140 conversations up on its website—there has been a raging debate. On what they tell us about the role of lobbyists in the 2G spectrum allocation scam, how the media interplays in such a system, and how our political class and retired bureaucrats are more often than not willing partners in the game. These debates do not detract from the aim of punishing the guilty behind the 2G scam; rather they raise disturbing questions we all have to answer. Who is this woman who can speak to the “highest and mightiest” in this country in this way? From where does she draw her power? And what does it tell us about our society? 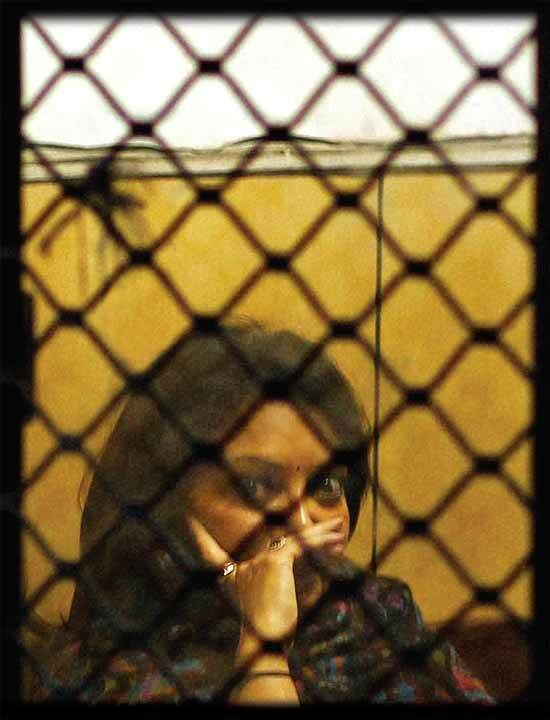 When Outlook asked her whether she would like to give her version of these recent events, Radia SMSed back: “No. Thank You.” This is her story. Quite like all those different accents, Niira’s background remains a guarded mystery and the answers vary depending on who you ask for nuggets of information about her past. It has actually been carefully crafted that way. For all practical purposes, her life begins in the “early 1990s” when she says she made India her base. Considering that she is about 50 years old now, that means the first 30-odd years of her life are a blank—and it doesn’t help that she has added an extra “i” to her first name (and even “looks different”, according to a senior aviation ministry official who has interacted with her in the past). Well, what we do know is that she began life as a very Punjabi Nira Sharma. Her father was an agent for aviation equipment, and shifted the Sharma family from Kenya to London in the 1970s (he passed away in 2002-03). In England, Niira picked up an education and a British passport (and later she got a Person of Indian Origin status too). It’s learnt that she went to the upmarket Haberdashers’ Aske’s school for girls in northern London, rounding off her education at the University of Warwick, from where she got a bachelor’s degree. Soon after, Niira married London-based financier Janak Radia, a Gujarati. It was after a divorce that Niira decided to move to India, along with her three children, all sons. One of them, Karan, made it to the news in 2003 when the then 18-year-old was kidnapped by Niira’s “business partner” Dheeraj Singh, grandson of the late former Haryana CM, Rao Birender Singh. Dheeraj Singh, it was claimed in the fir, was a partner in Niira’s PR agency. This was one clear example of Niira’s rising clout: despite all his political connections, it is learnt that Dheeraj Singh did end up spending some time in jail. Not much is known about Niira’s siblings—two sisters and a brother—though one of them, Karuna Menon, is involved with Niira’s work in India. Karuna was, in 2001, co-promoter of Crown Express, Niira’s first attempt to launch an airline which ended in failure. Karuna and two other people—Iqbal and Saira Menon—are also listed under the same UK address as directors of dissolved companies. 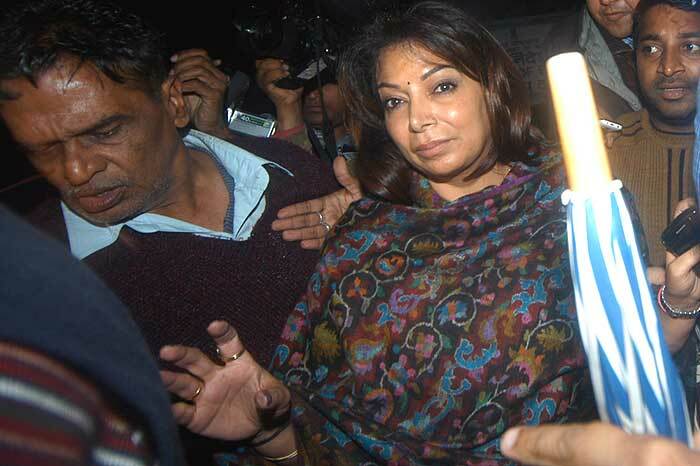 More recently, Karuna has been identified as the president of Sudesh Foundation, whose trustee is “Nira Radia”. Funded by Vaishnavi Communications, Sudesh Foundation’s offices are located in Delhi’s South Extension as well as Barakhamba Road (1st Floor, Gopaldas Tower, which also houses the Tata Teleservices offices. On the fifth floor are Reliance’s offices). The trust is mainly charitable and has aligned with a ‘Sri Rama Vitthala Trust’ to start an Ayurvedic College in Karnataka. They accept donations. They are also involved with childcare, animal care, youth and disaster relief work. And going by news reports, Karuna is currently in Delhi, lending help to her sister. By the mid-1990s, Niira—and her massive Chhattarpur farmhouse—had started making a mark in Delhi’s rarefied and big-money aviation circles. Her interest in the aviation business came in useful here; she gravitated towards consulting for domestic and international airlines (Sahara, Singapore Airlines), manufacturers (Airbus) and aircraft leasing companies (like ILFC, AAR) at a time when India had just launched its Open Skies policy. She quickly gained respect in a big boys’ club; “she was extremely polished,” says a senior aviation man who interacted with Niira closely those days. The buzz around her had already begun spreading: be it her dress sense, the “farmhouse parties that started off with pujas” or her ability to press the right buttons. Her connection with Pejawar Swami got her a crucial ally in Vajpayee’s son-in-law Ranjan Bhattacharya. This is when Niira made an important friend—and also got herself an enemy. The friend was Ananth Kumar of the BJP, who was the NDA’s civil aviation minister in 1998-99. Niira grew extremely close to Ananth Kumar during this period, and used the access to the cabinet minister to enhance her clout. It was Ananth Kumar who introduced her to Pejawar Swami (read Swami Visvesh Teertha), a godman from Karnataka and also Uma Bharati’s guru. In fact, the Kannada weekly tabloid Lankesh Patrike, printed from Bangalore, had even published a picture of Radia with Pejawar Swami and A.B. Vajpayee. 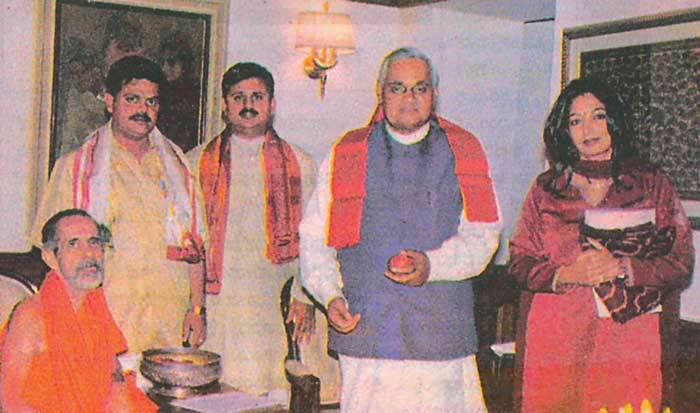 Though she later fell out with the swami, this connection got her an important ally, via Vajpayee, in his foster son-in-law Ranjan Bhattacharya (who figures prominently in the 2G scam tapes). Later, when Ananth Kumar was moved to urban development and tourism, the catering for Niira’s parties was reportedly done by the state-owned Ashok Hotel and ITDC. But for all her proximity to Ananth Kumar, Niira could not launch her own airline, Crown Express, in 2001. An industry insider says the airline was “without doubt” a backdoor entry for Singapore Airlines. Radia’s lack of apparent funding didn’t help matters. “She couldn’t put all the pieces together,” adds this aviation insider. Niira was to try again—in 2004, she floated Magic Air. But here again, in Praful Patel’s regime, she faltered. This time round, Niira’s PIO status worked against her. That brings us to the enemy. When Ratan Tata made his famous Rs 15-crore bribery speech recently in Dehradun, one aspect got underplayed. Ratan was referring to the Tata Group’s three attempts to launch an airline with Singapore Airlines (where Radia was a consultant). “But an individual thwarted our efforts to form the airlines,” Tata said. And the person Tata refers to is Jet Airways’ Naresh Goyal, who lobbied heaven and earth to ensure that the Tata-Singapore consortium didn’t get its way. This was a powerful enemy for Niira, and was probably one reason why she didn’t get her way with her private airline. On his first day in office, Raja apparently got a hefty ‘first instalment’. 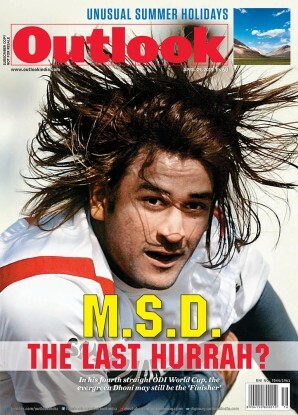 That very evening, he dashed off to Chennai. Despite these failures, Niira’s stature as a person who could effectively “get things done” had been cemented. This brought her to the notice of Ratan Tata, who in the aftermath of the Singapore Airlines’ drubbing, was keen to centralise the public relations and advocacy functions for the Tata Group as a whole. There are numerous theories on how this eventually got done, but a former senior bureaucrat points to Bombay Dyeing’s Nusli Wadia as the man who finally gave his seal of approval on her to Tata (Tata biggie R.K. Krishna Kumar played a role too). In 2001, in one fell swoop, Tata gave Radia’s company Vaishnavi the entire account for the 90-odd group companies. There was speculation that the Tatas had invested capital in the agency, but most industry sources now disagree and say the money invested was Radia’s. This did not go down well with some CEOs of the Tata Group companies—initially there was considerable scepticism about her abilities and the “hold” she had on the Tata supremo. But all that died down when everyone quickly figured out that “rnt will not hear one bad word about her”. After successfully managing the mess around Tata Finance in 2001—when the group took its former managing director Dilip Pendse to the cleaners on corruption charges—Radia made her mark. At a time when the BJP regime seemed unstoppable, she established links with politicians, bureaucrats and top print and TV editors. At this stage, the Tata Group had a furious battle with the Times of India Group, where it withdrew advertising (the Times group in return ignored the Tata group on its pages). While this battle was eventually resolved in 2004, Radia sent out a strong signal to the media that the Tata Group could not be taken for granted. Meanwhile, around 2002, Ananth Kumar got embroiled in the HUDCO scam—the case is pending in the Supreme Court. Given the subtext of her proximity to Kumar (which didn’t last for long after that), Niira had also made strong enemies in political circles. The BJP’s Arun Jaitley, for one, has been steering clear of Radia for some time now. After the BJP went out of power in 2004, Radia needed to make new political friends. And as the 2G scam tapes reveal, she seems to have done a pretty good job of it. Her closeness to the DMK’s A. Raja—the man at the heart of the largest scam ever in India—is believed to have begun in 2006, when Raja was the environment minister. Since Tata Teleservices was a key client for Radia, this relationship paid off when Raja became the telecom minister in 2007. Now that Raja has resigned, many are speaking out about his role in the ministry. As a top serving bureaucrat observes, on the first day that A. Raja took charge as telecom minister, he received a sizeable “first instalment”. Taken by surprise, Raja is reported to have dashed off to Chennai the same evening to present it to the DMK bosses, who were left wondering why Raja’s predecessor had not similarly relayed earlier instalments, if any. Ratan Tata had, in a hand-written letter to Tamil Nadu CM M. Karunanidhi in December 2007, reportedly praised Raja’s “rational, fair and action-oriented” leadership. As a no-holds-barred corporate battle lies at the heart of the scramble for scarce spectrum, the Tata Group’s proximity to the telecom minister put it head to head against Airtel’s Sunil Mittal, who was unhappy with Raja in the seat. The stakes became bigger when Radia brokered Mukesh Ambani’s open support for Tata in the Singur controversy. By getting the PR mandate for Mukesh Ambani’s business empire in 2008, she would have found herself in the hit-list of Anil Ambani, who is also Tata’s competitor in telecom. 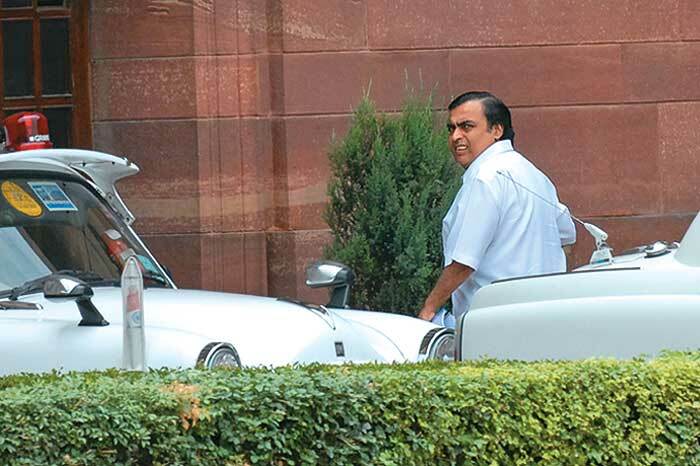 It is believed that Ratan Tata told Mukesh Ambani to take on Radia as a client (it is reported that these two of India’s largest corporate groups pay Rs 30 crore per annum each for Radia’s services). Given that the Ambani brothers’ fight was still raging, it was a natural alignment—both the Tatas and Mukesh had a common enemy. “One person thwarted our efforts to form the airlines,” Tata said recently. The reference was to Naresh Goyal. The battle in Singur was a case in point of how Radia made friends across the spectrum. She was close to Left leaders—and was apparently working on other business deals with them—but moved quickly to shift the Nano plant to Sanand in Gujarat (see box). As the 2G scam tapes reveal, she was close to N.K. Singh of the JD(U); and even talks about telling Uddhav Thackeray what to do. She also mentions Madhu Koda, then Jharkhand’s chief minister, saying in one conversation that “I know what we fought in Jharkhand. I have been to Ranchi and I have met Madhu Koda. He won’t agree on anything less than (Rs) 150 crore. We had to go to court. He said you pay me (Rs) 150 crore, you tell Ratan Tata to pay me through his contractors.” Tata Steel says it has never got any mining lease during Koda’s tenure. As the spotlight intensifies on Niira Radia, senior retired bureaucrats working for her are facing some uncomfortable questions. A senior former bureaucrat recalls that former trai head Pradip Baijal and ex-economic affairs secretary C.M. Vasudev told him they were joining the “lady who handles the advertisements for Tatas...Baijal seemed to know Radia better. They mentioned that the offer was very good as no investments would be required—yet after two years they would be partners in the company by virtue of sweat equity”. Ajay Dua, former secretary, Department of Industrial Policy and Promotion, who took premature retirement to join Niira Radia’s team, is denying having done any lobbying “whether in my advisory or director’s capacity nor am I inclined to do it”. Dua, however, points out that “in India, lobbying has not been declared illegal”. Similarly, C.M. Vasudev has said that he is no longer associated with Radia as “I did not opt for sweat equity”. He does, however, admit the tapes do “create (a) reputation issue”. As Niira Radia fights the accusations against her, it’s her reputation that has taken a battering. “This tapes matter will not lead anywhere,” says a veteran lobbyist, “there are too many powerful people involved”. Tapes don’t stand up well in courts of law. But Niira Radia faces a bigger test, of reclaiming her “effectiveness”. “She’s going to be in trouble for a long, long time,” says a former airline CEO. The spotlight is now on her clients, many of whom prefer to do business quietly. It’s going to be a long, hard battle for Niira Radia. The print version referred to "104 conversations" by mistake whereas 140 conversations were put on the website. Incredibly loud, incredibly silent. Indian journalism, caught on tape.